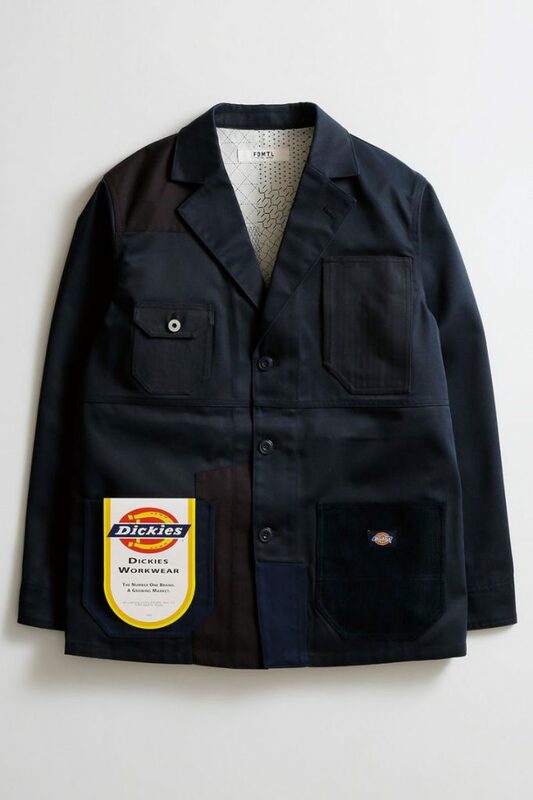 FDMTL teamed-up with American workwear brand Dickies for a patchwork collaboration jacket. 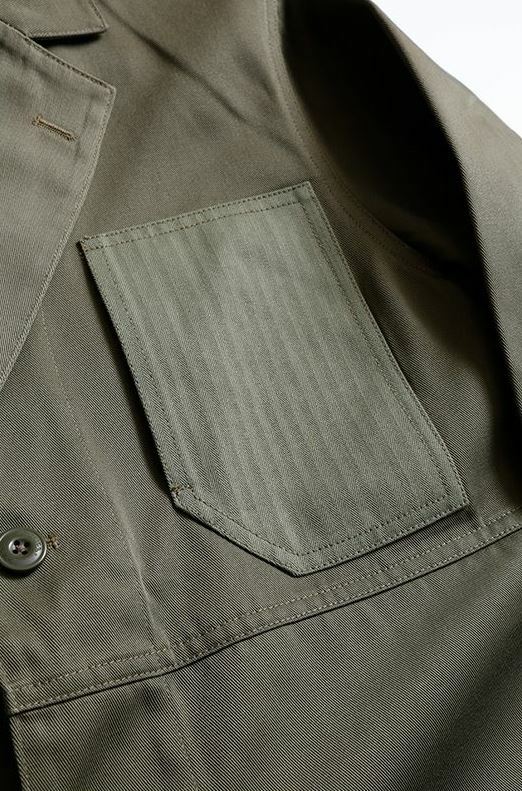 The jacket is made of the typical Dickes fabric which is known from their popular 874 pants. The 874 pants were made as workwear for office people, gardeners, but were also embraced by the streetwear scene during the nineties. 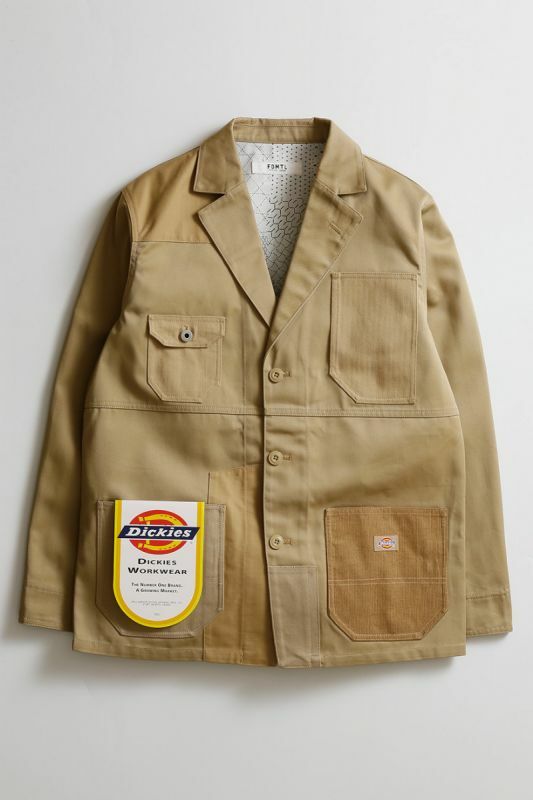 For the collaboration jacket, they used the Dickies 874 fabric which is a heavyweight 8.5oz twill (65% polyester/35% cotton) and also herringbone and corduroy fabric for accents. 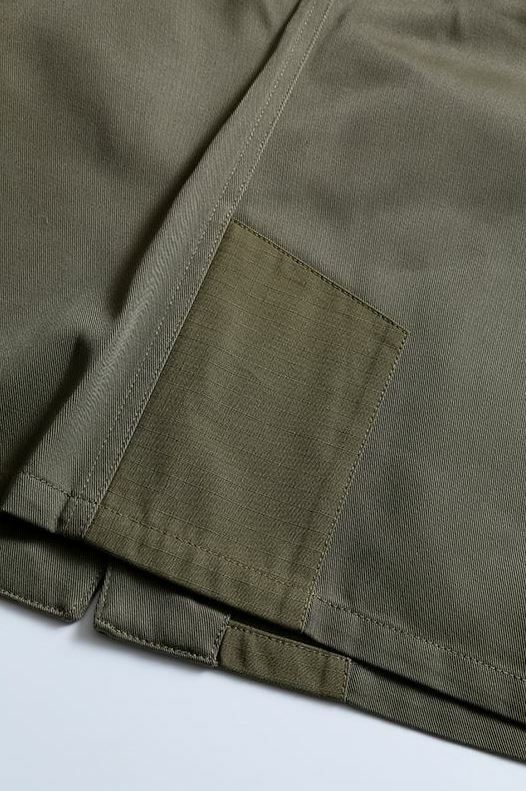 The fabrics are mixed, cut-and-sew, for a Japanese patchwork look. 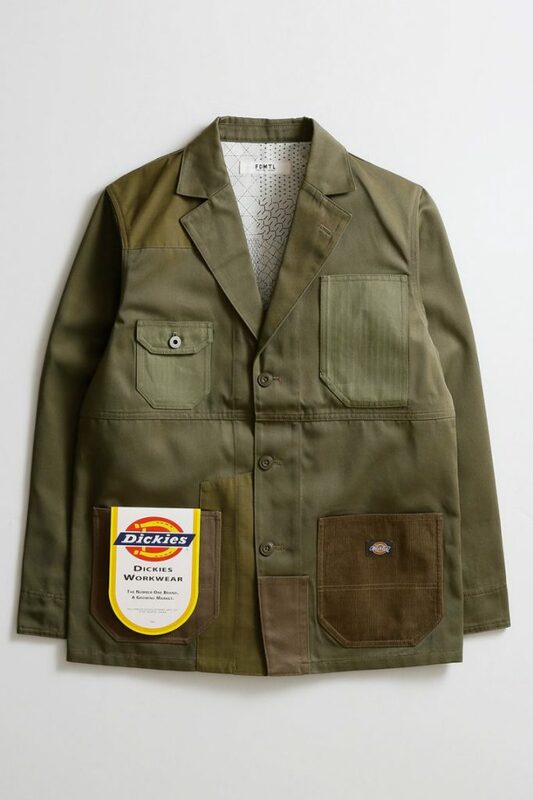 It has a classic workwear look. 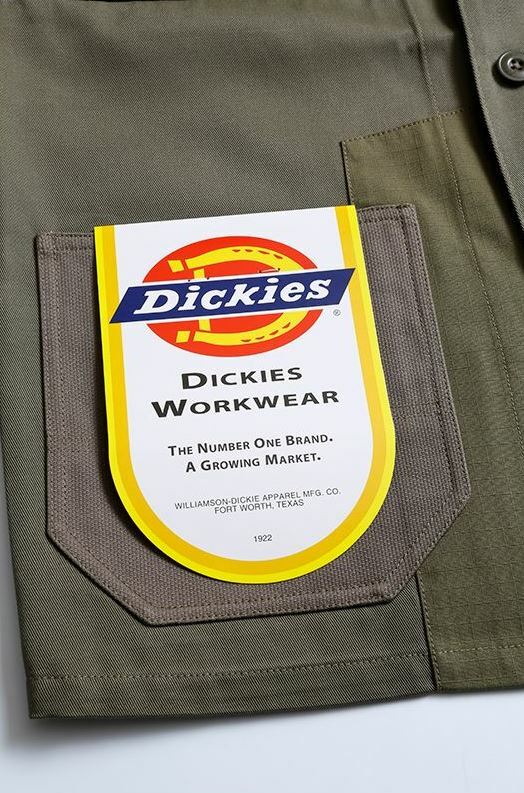 The Dickies brand is started in 1922 by Williamson-Dickie Mfg. Co. which is an apparel manufacturing company. 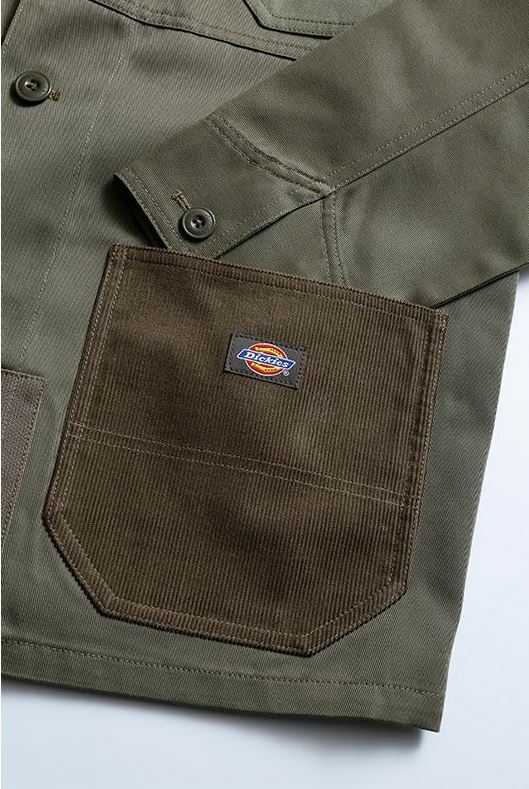 The company is mostly known of their largest brand, Dickies. 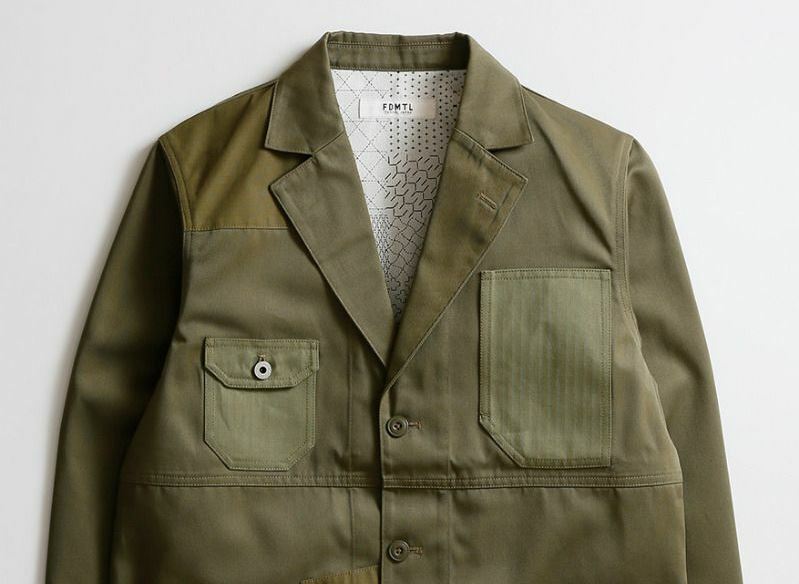 The brand started making bib-overalls, but soon expand their collection with work pants and work shirts to offer a full line of pants, shirts, jeans, outerwear, and mechanic uniforms. Nowadays the brand is available in more than 100 countries all over the world and is in hands of the VF Company, who has a huge brand portfolio with Lee, Wrangler, Vans, Eastpak, Vans, Timberland, The North Face to name a few. 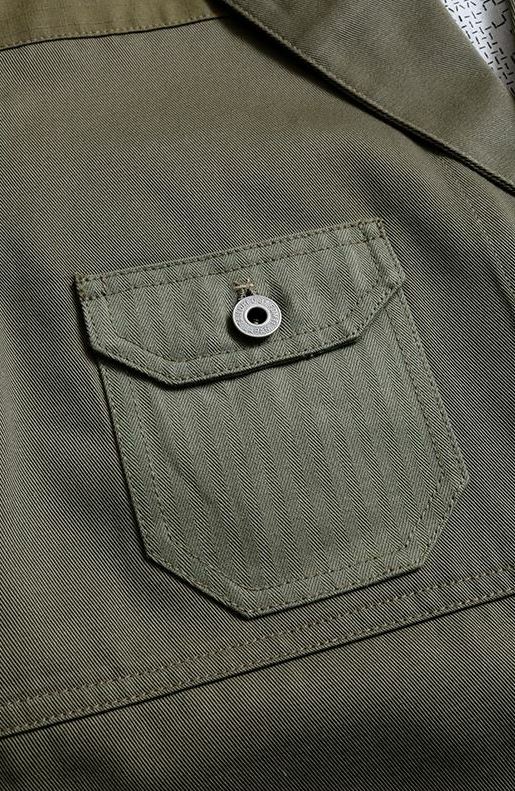 The FDMTL x Dickies jacket is also available in Khaki and Navy.